Which is the best for the construction & building industry? With so many aspects of a new build to consider, security for construction sites is often overlooked. Many sites are an easy target for vandalism and theft since after contractors leave for the day, it’s usually only hoarding that protects it whilst left unattended at nights and over the weekend. The presence of a uniformed security guard will assist in deterring thieves and vandals from your construction or building site. 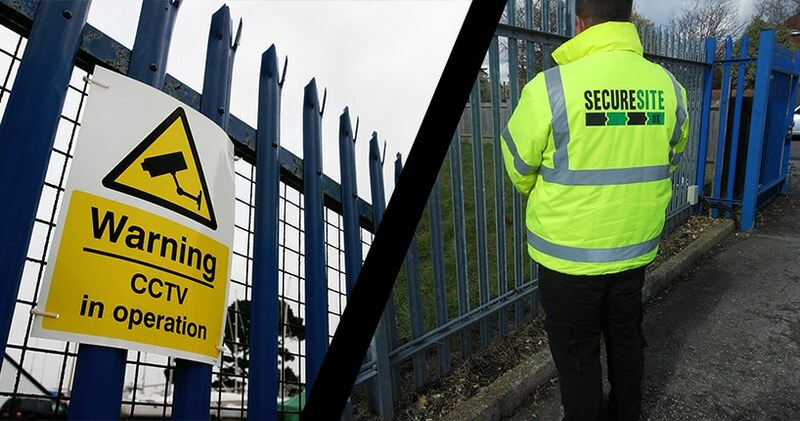 A uniformed and SIA licensed static guard can also help your business with non-security related issues, assisting in routine tasks, vehicle checks and restricting unauthorised access. Uniformed security guards can provide highly effective security, especially for premises or property spanning large areas. By patrolling the perimeter of the site, including in/out buildings, this ensures all hidden places are covered if potential trespassers or thieves gain access. • Secure Site’s static guards are available day, night & weekends. • Deployed nationwide within 2 hours for an emergency requirement. • Provide visible sense of security, also creating a great deterrent to crime. • Combined with alternative security, to ensure a 24/7 monitored site, such as mobile patrols or CCTV can also help to save costs. • Merge with dog handlers for extra sense of security. • Security guards can also be used as a customer service ambassador on site for visitors or vehicle check in. • At just £2 more per hour, but able to protect the same as 3 static officers, security dog handlers are very good value for money and a great psychological deterrent. Static guards or experienced dog handlers are effective crime deterrents, but if the budget isn’t there, then there is a very cost effective alternative. When the budget isn’t there for a security officer, electronic alternatives provide cost savings as well as ability to cover large sites and effectively allow monitoring of multiple areas simultaneously. SecureSiteUK has developed a bespoke range of construction site alarm systems, including VideoGuard, with wireless cameras and 24/7 monitoring for an immediate escalated response to trespassers, FireGuard to instantly warn everyone on site to the outbreak of a fire, or ScaffoldGuard, to ward off trespassers and thieves and potentially prevent severe injury. • Electronic security can significantly reduce construction site security compared to manned static guards. • With next day installation, sites can be secured at very short notice. • Used for temporary basis to watch over vulnerable sites and assets. • Remotely monitored accessed systems. • Off-site monitoring and recordings of crime ‘in action’. • No additional costs for welfare on construction and building sites . • Maintenance and support 24/7. Since a ‘one size fits all’ approach rarely suits the client, here at Secure Site UK, we tailor-make security options to suit your site to fit individual site requirements and budgets.